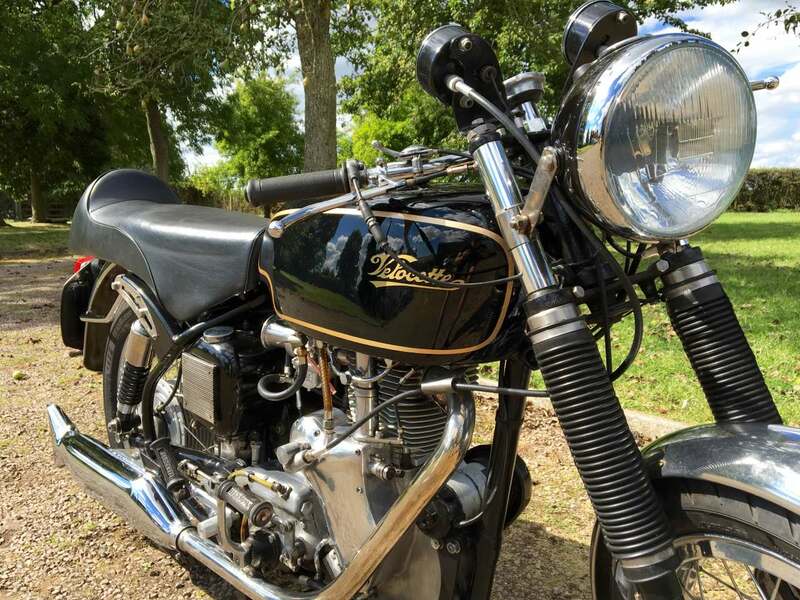 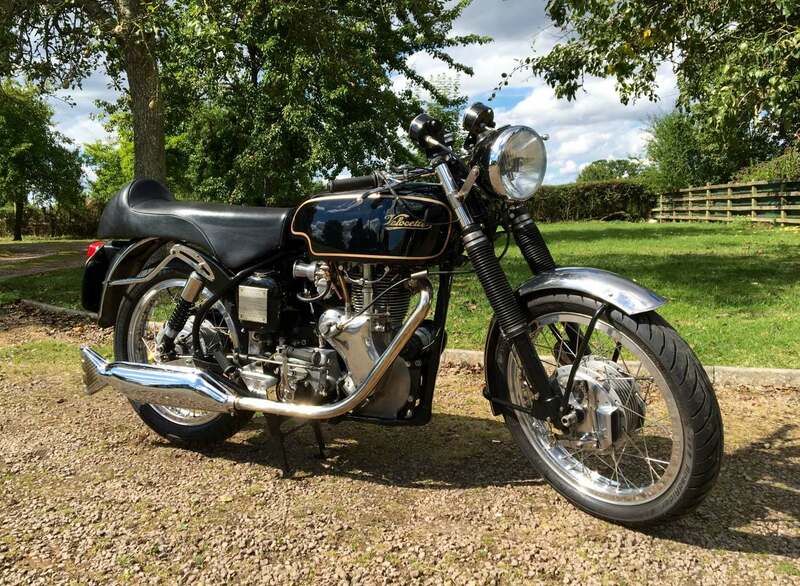 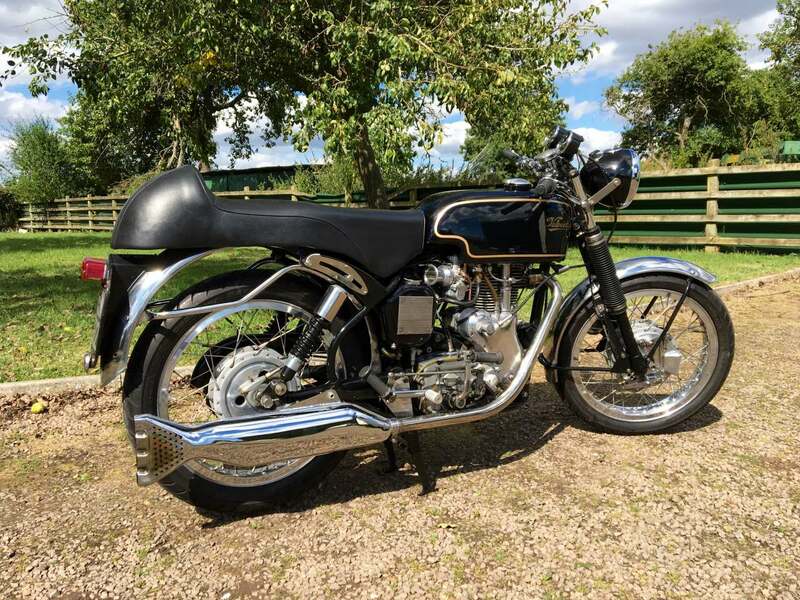 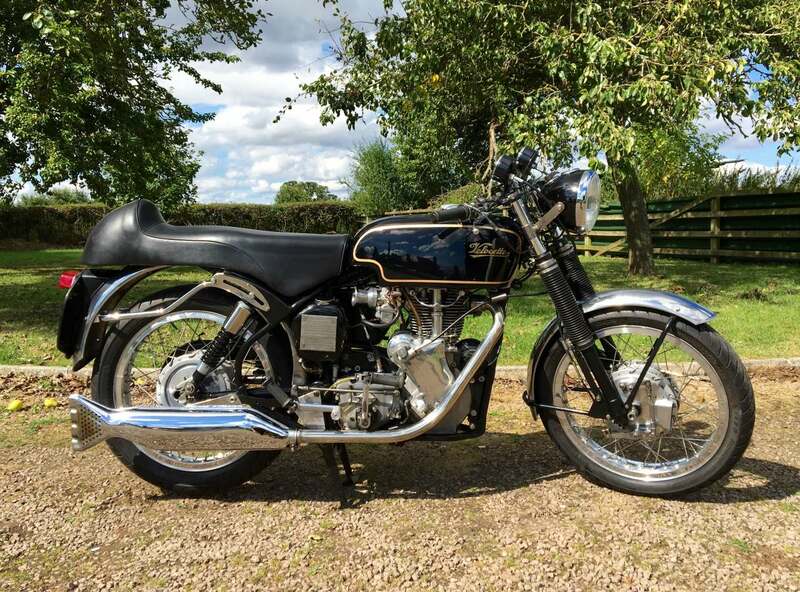 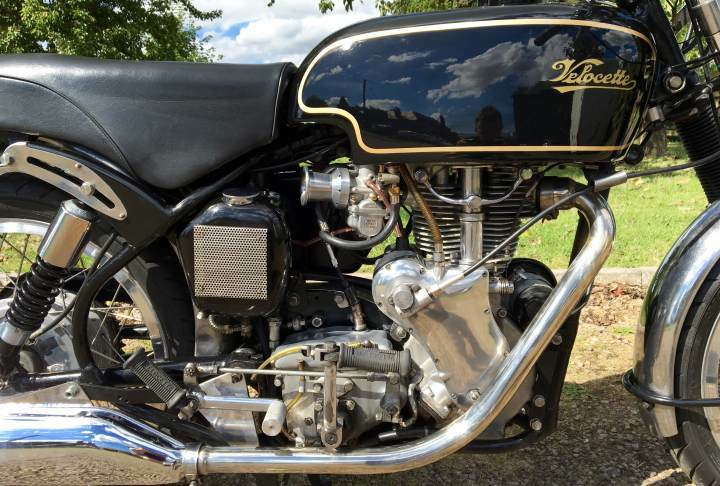 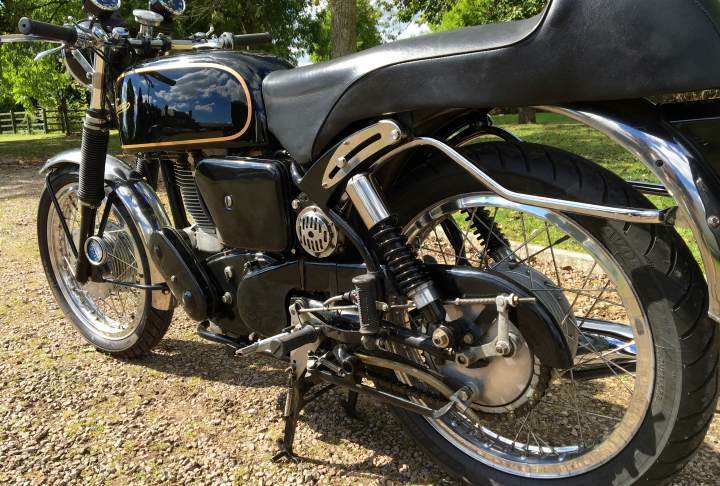 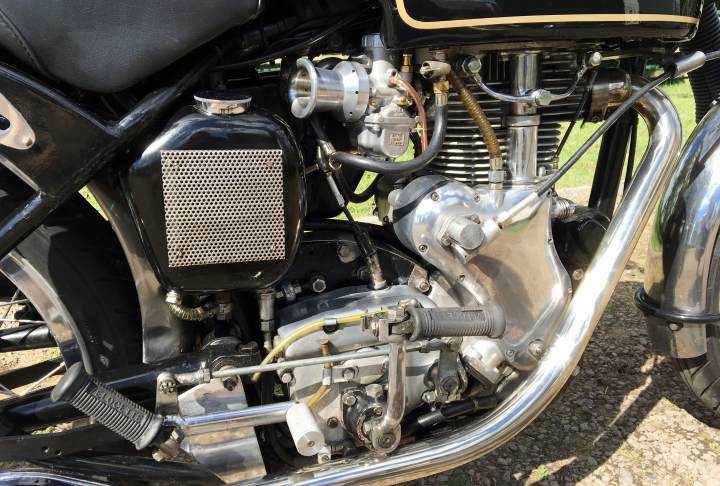 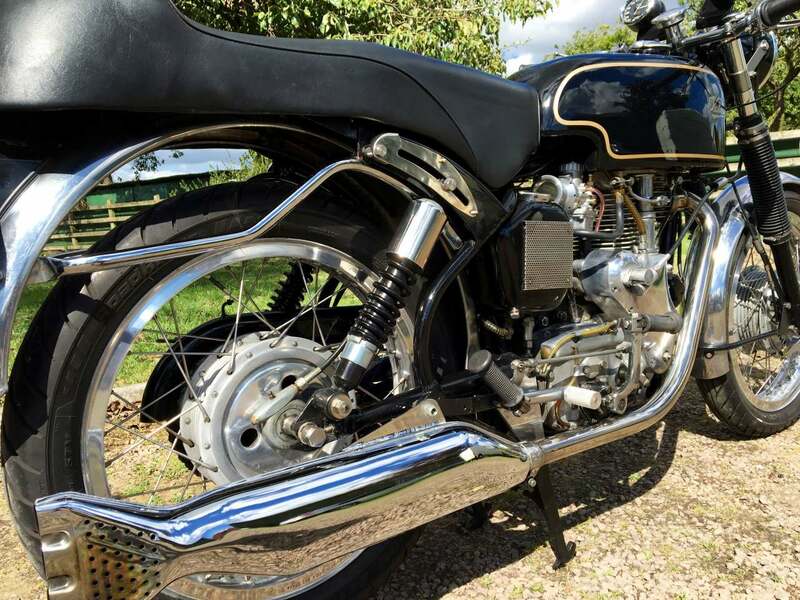 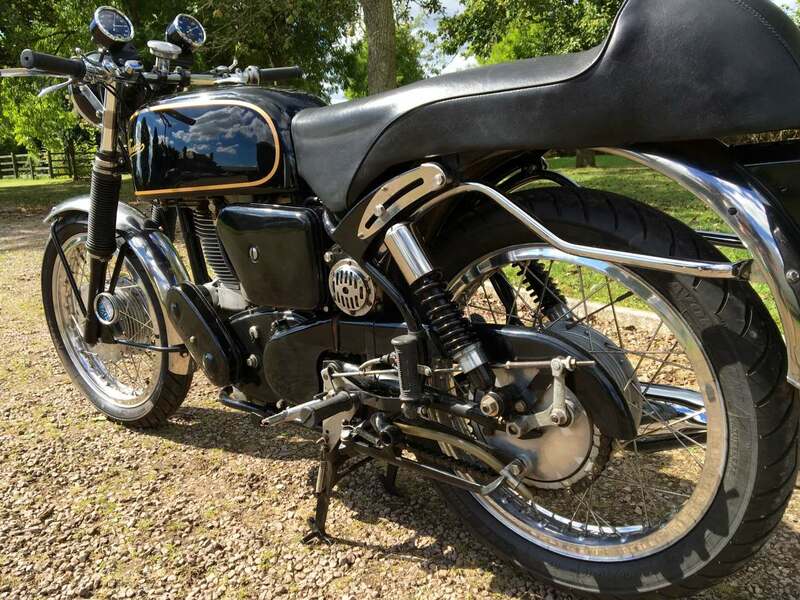 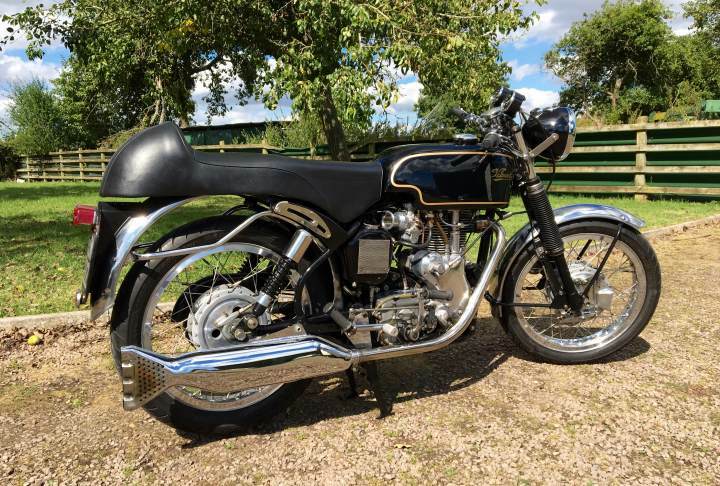 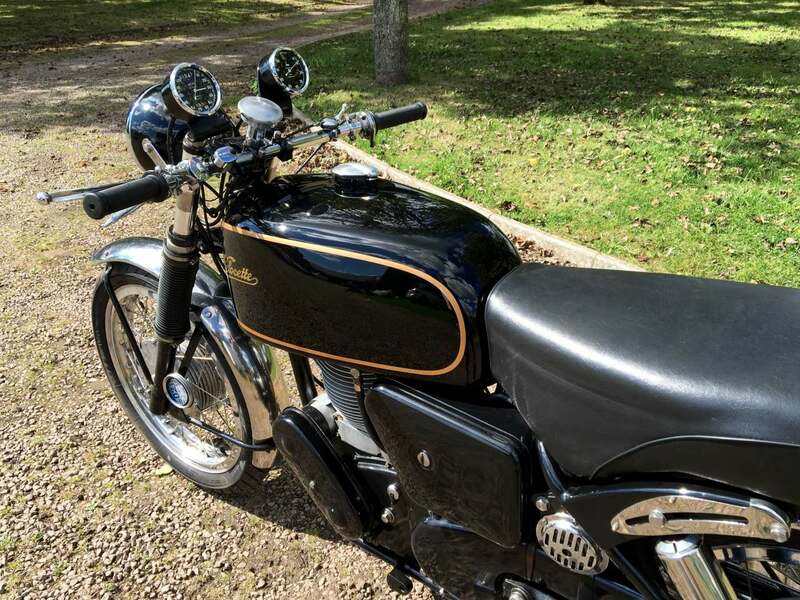 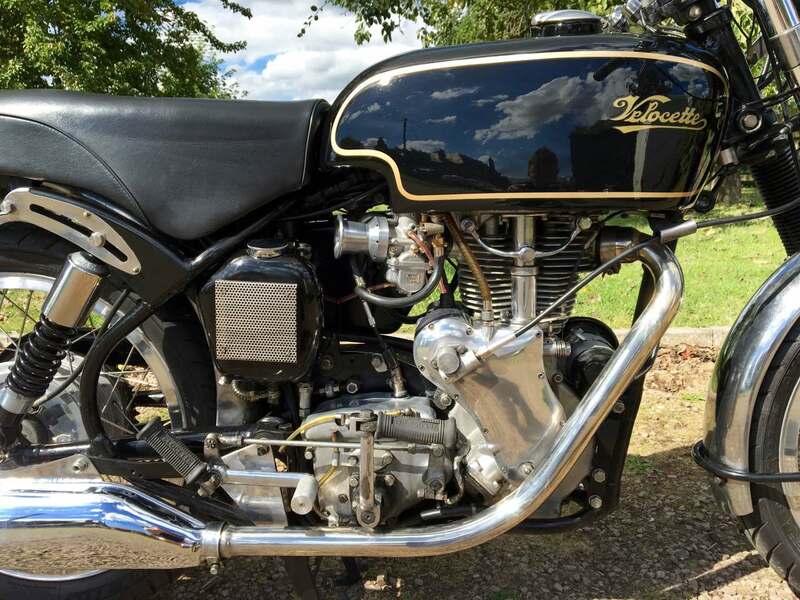 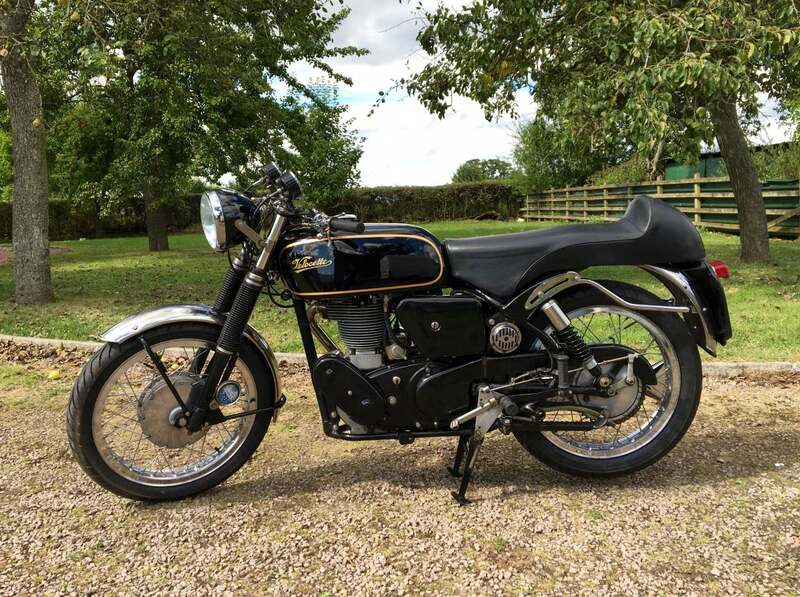 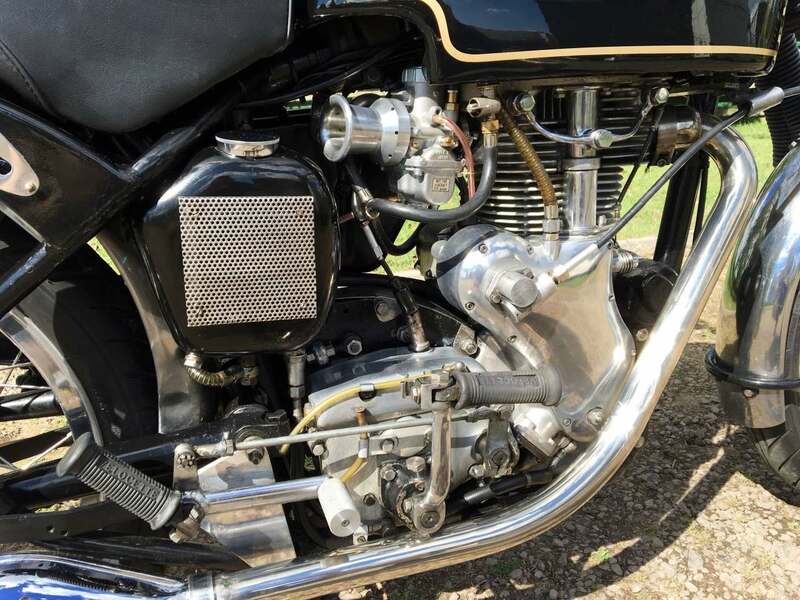 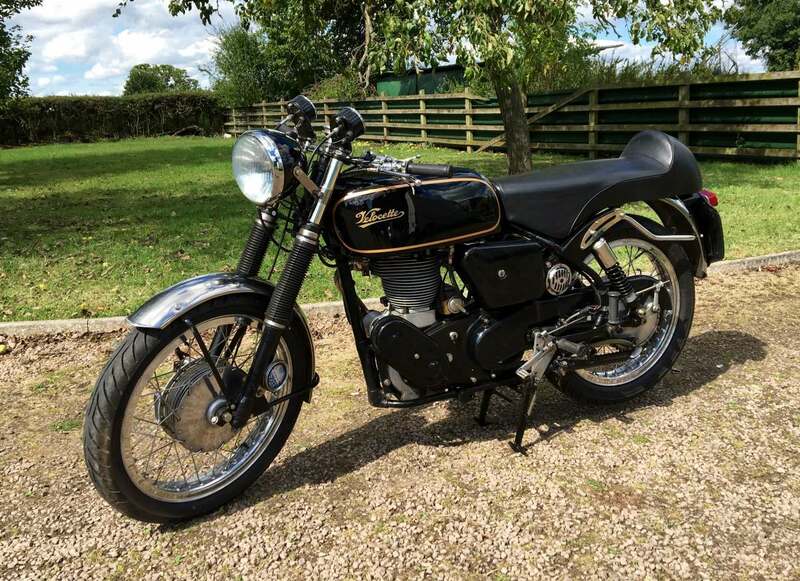 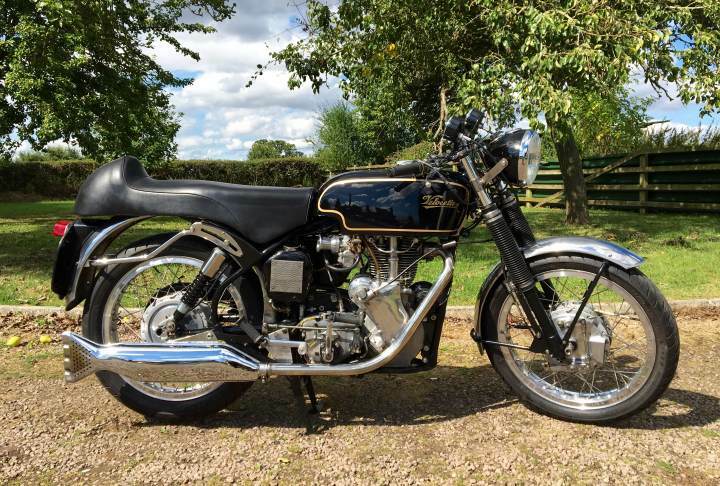 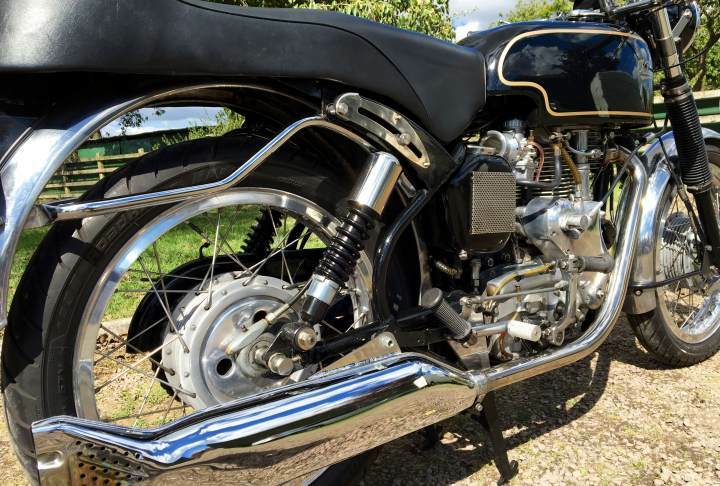 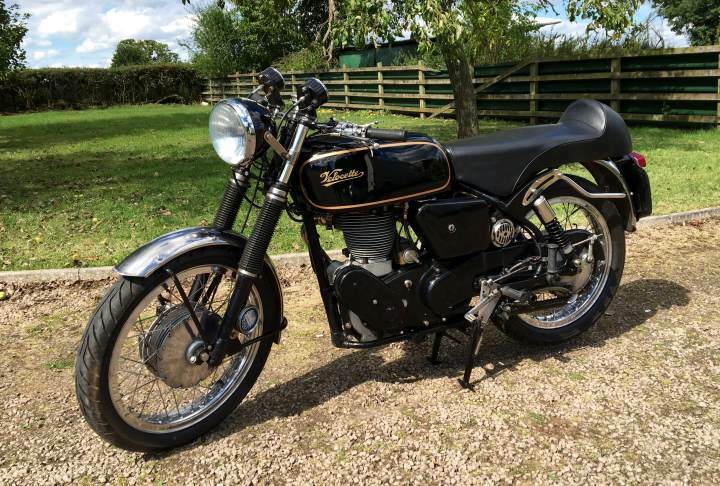 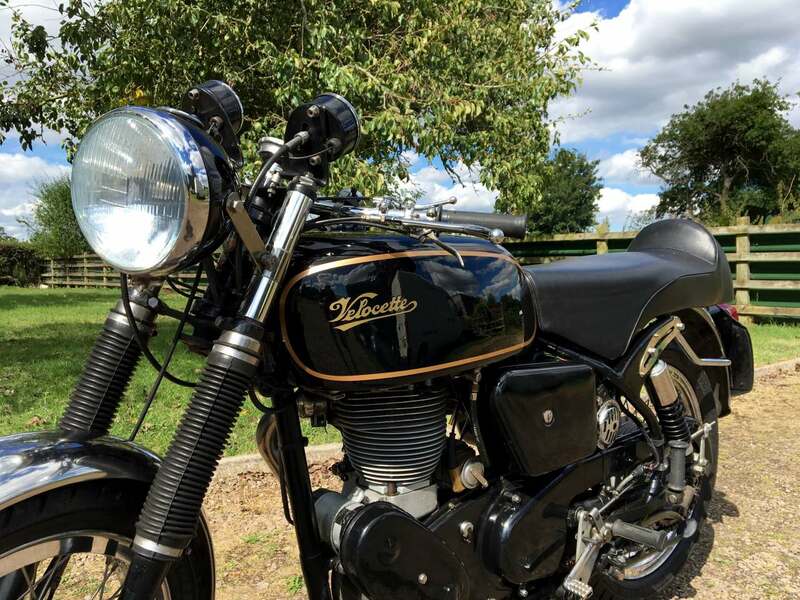 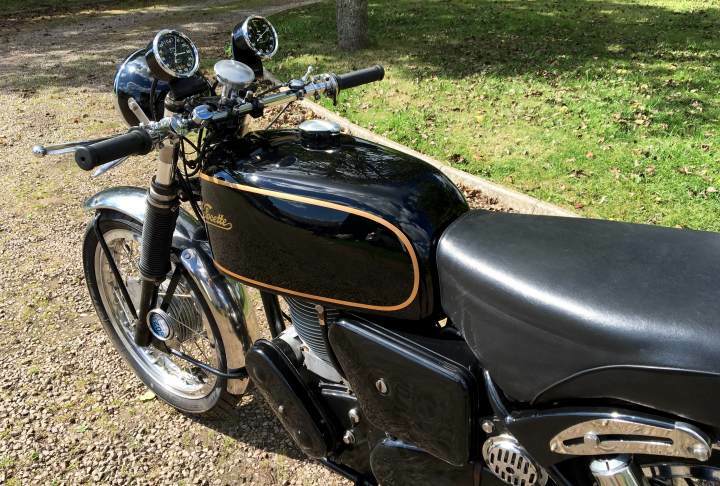 Velocette Clubman / Thruxton Replica 1959 500cc in Superb Condition Having been Restored 14 years Ago to this Specification. 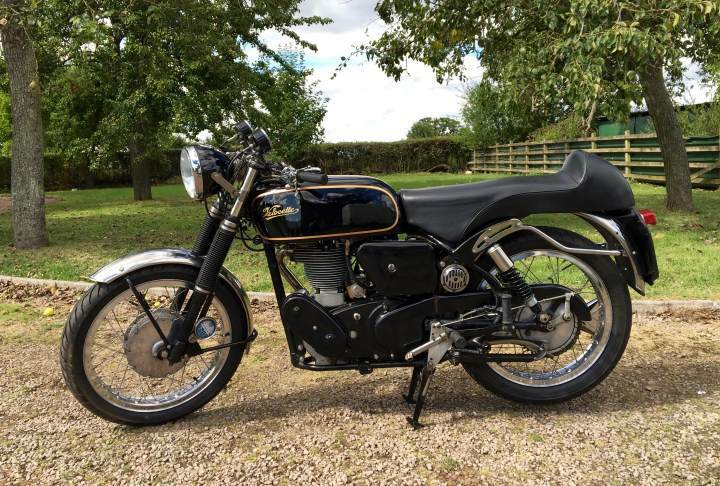 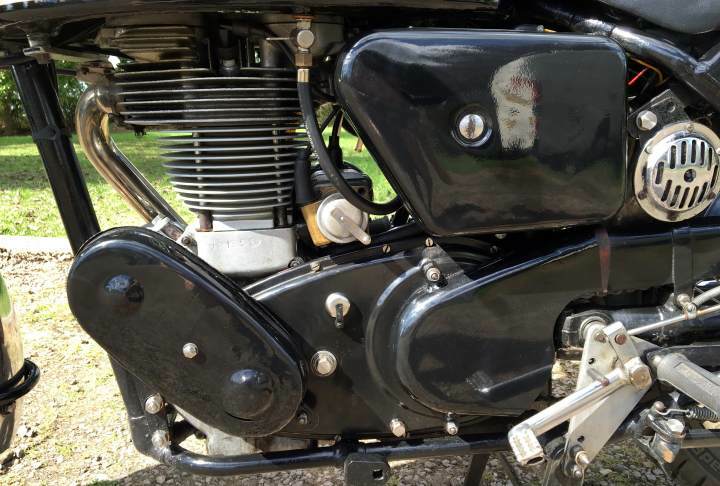 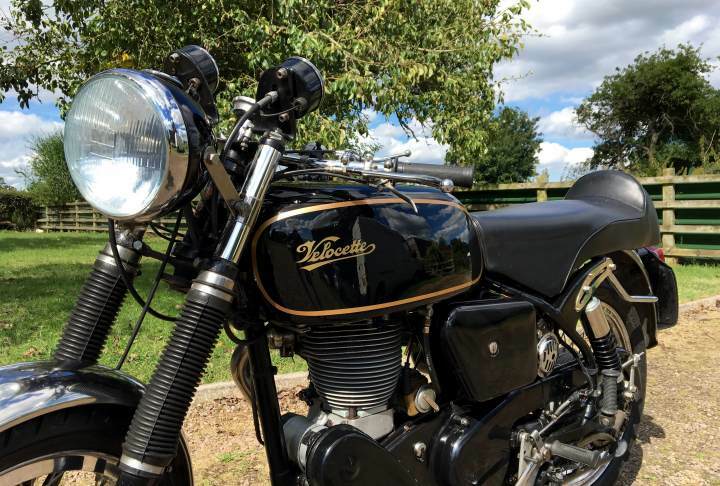 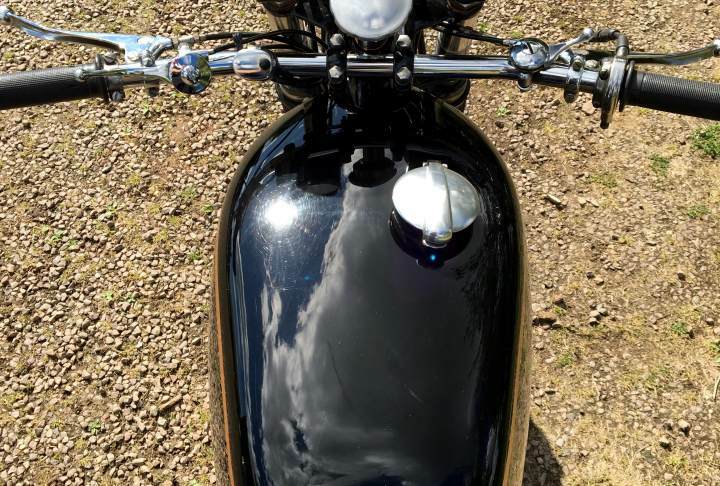 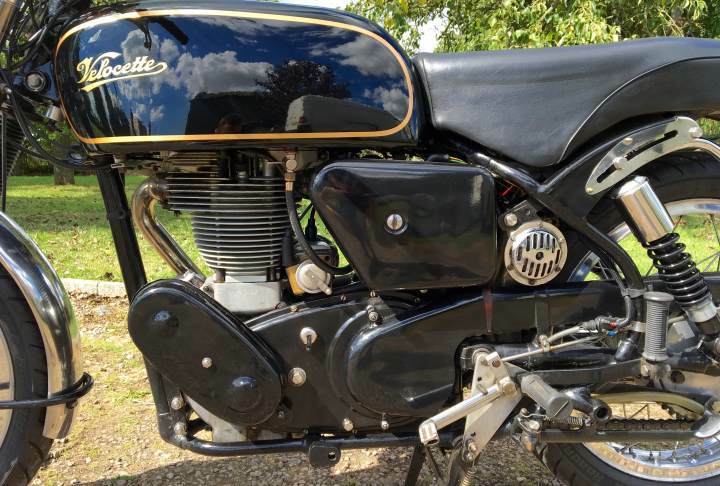 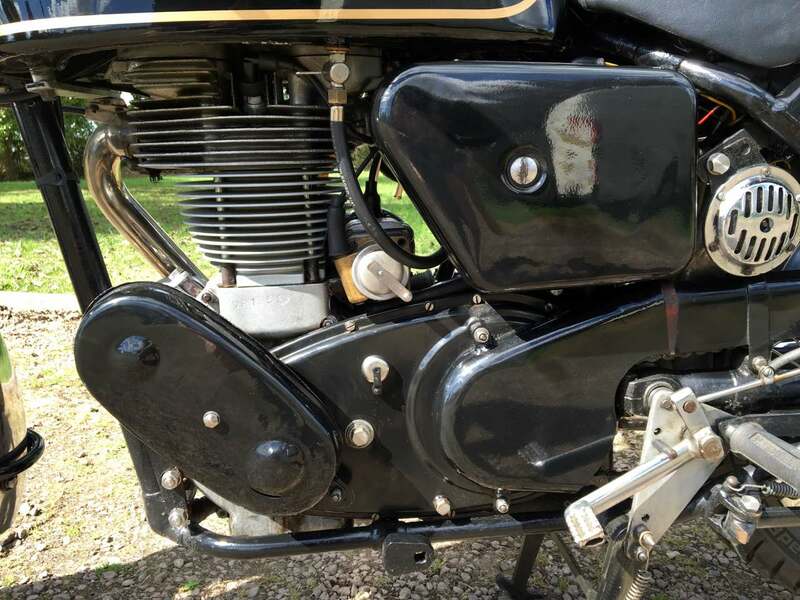 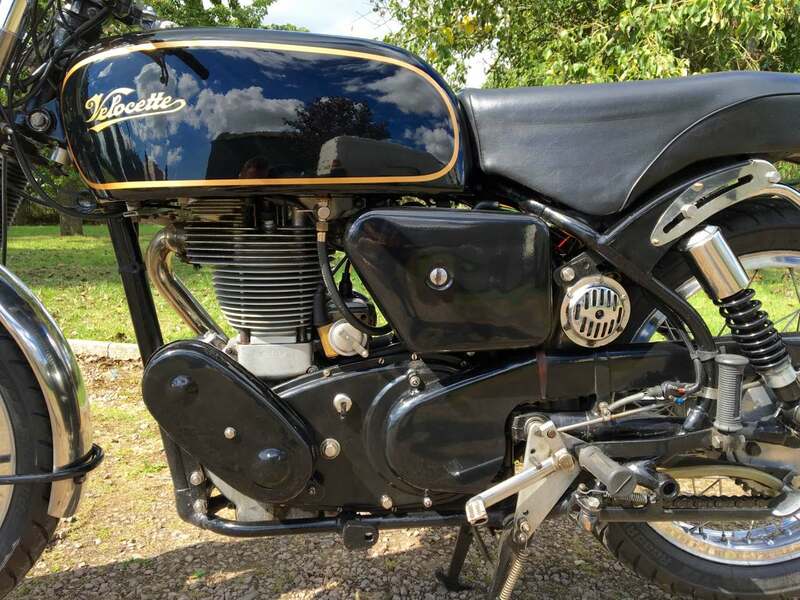 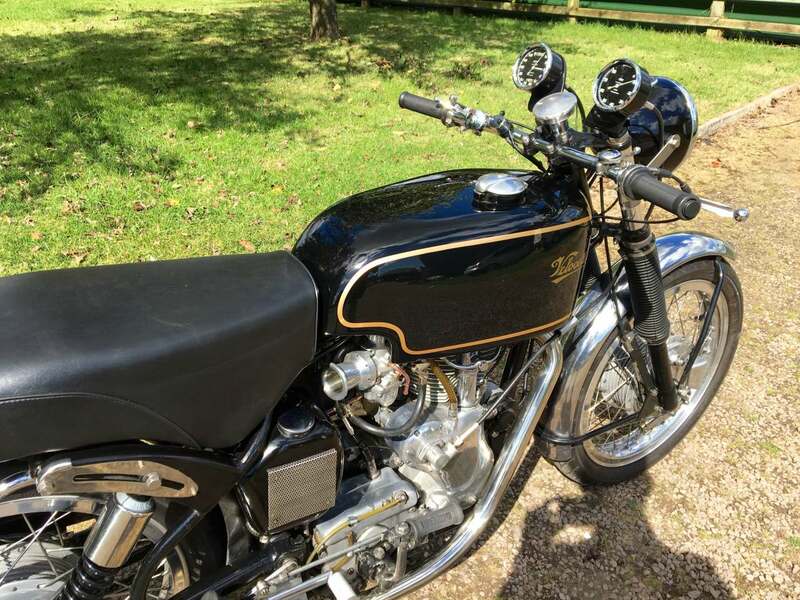 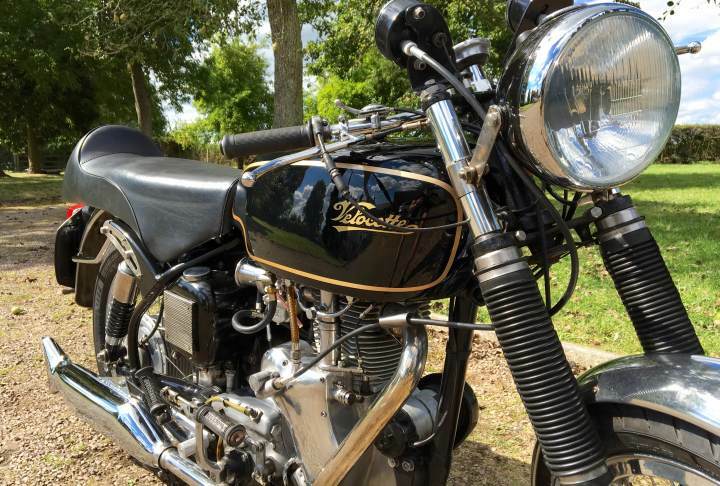 The last Owner has gone through the bike and Upgraded the Older Restoration . 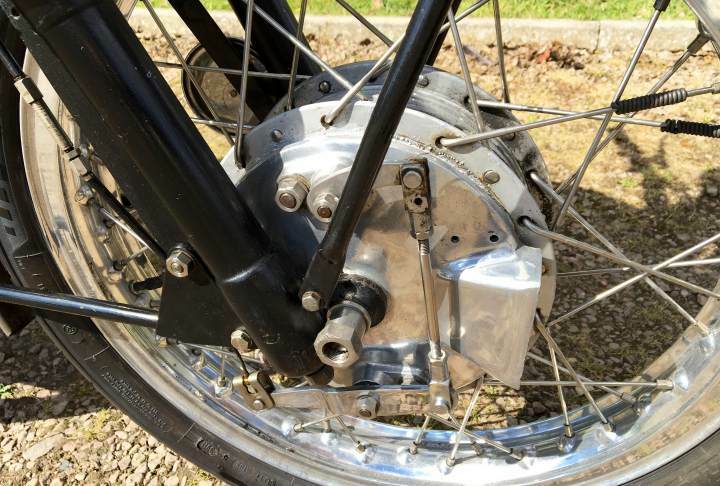 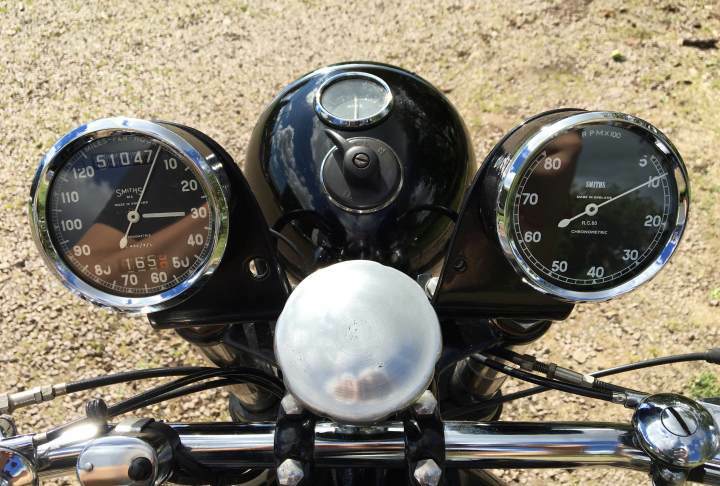 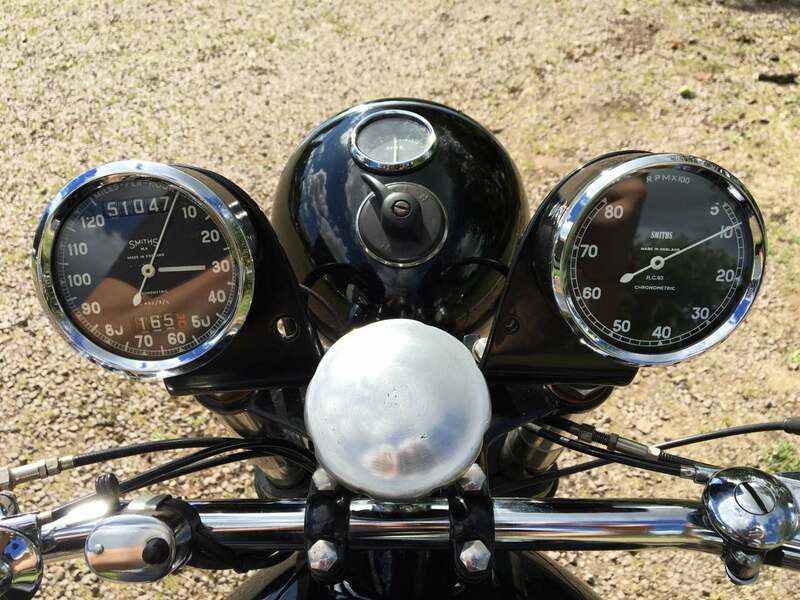 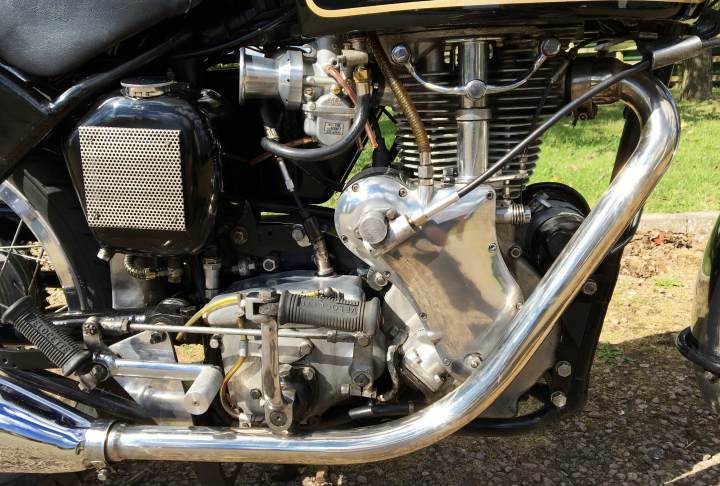 The Spec includes Twin Chronometrics, Spin Off Oil Filter, Vented TLS Front Brake, Alloy Thruxton Style Tank with Carb Cutaway, Long Racing Seat, Rebuilt Forks, Modern Carb for Easy Starting hot and cold. 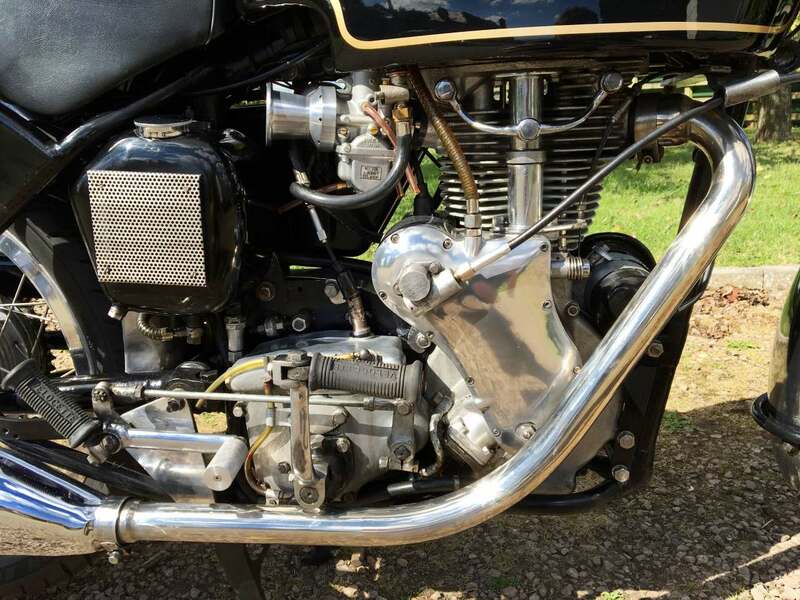 Reworked Cylinder head with new valves, New Centre Stand for Easy Role on and off, Competition BTH Mag, Stainless Spokes with Alloy Rims. 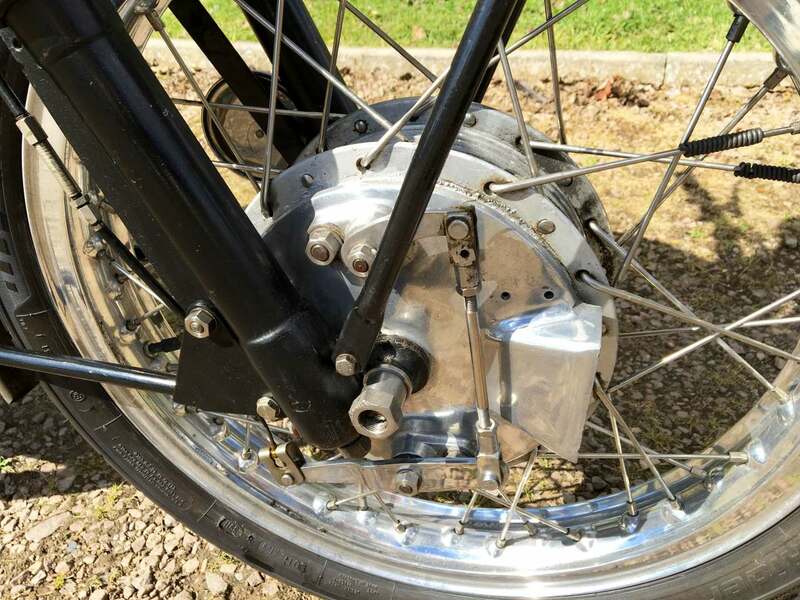 Hagon Gas Dampers, Improved Gear selector Mechanism, 12 Volt Electronic Regulator and Electrics. 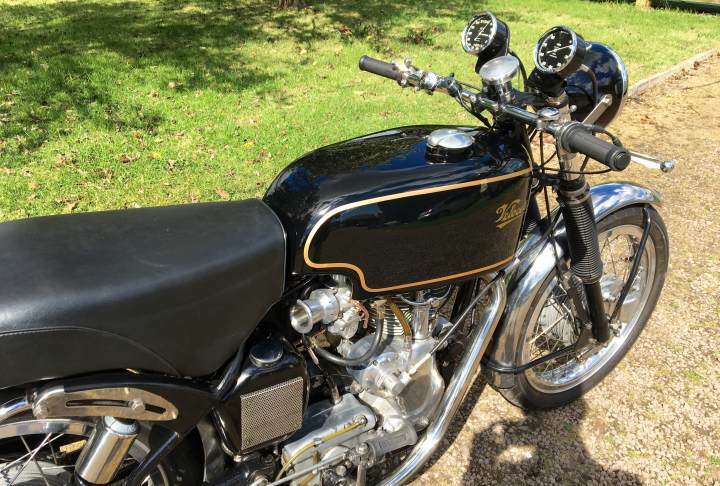 Original Buff Log Book V5C and Original Valuable Transferable Registration Number. 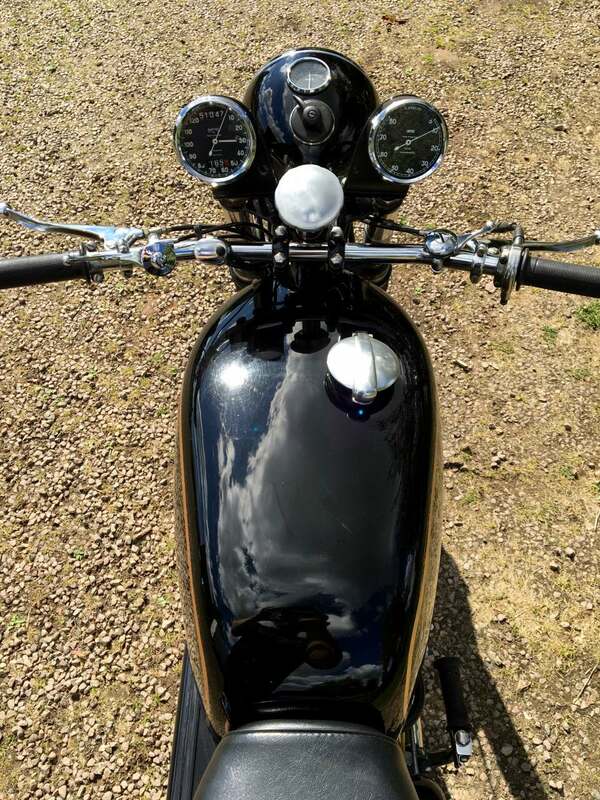 Starts First Kick and Runs and Rides Very Well .All in all a Very Well Sorted Handsome Machine that's Easy to Live with and a Great Investment.